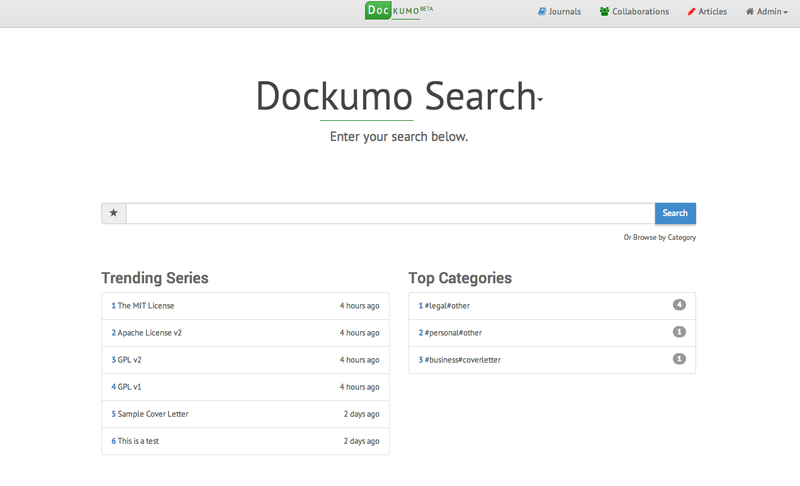 I finally added public document sharing on Dockumo after two weeks of launching. It was my original goal to get something like this up and running, but it turned out to be slightly more complicated than I had thought. Since I had built everything from the perspective of a user who is logged in, I had to develop some workarounds for users who were just hitting my site. The whole experience actually turned me off a bit to having user login. It seems like such a huge barrier to conversion. Then, if a user finds an article that she likes, she can email the article to herself, or download it to an HTML or word file locally. 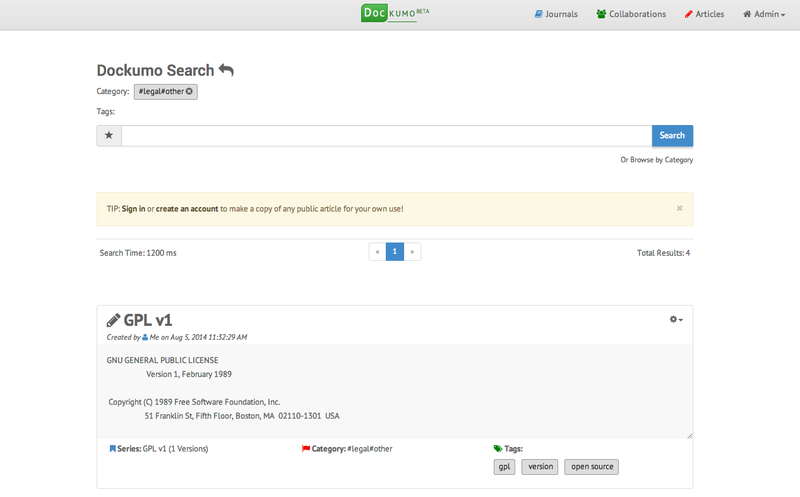 If the user wants to make some tweaks, she’ll need to login herself, add a copy of the article and then edit it for her own use. Hence the cycle repeats. The hope is that over time, shared articles can get better. It goal is that all of us can use the benefit of our collective intelligences to make and share better documents, whether it’s something simple like a cover letter, something more in depth like a lease, or something more personal like a statement of purpose.